Life can truly swing in any direction as 22-year-old Matt Tifft could attest to with his life. After all, he faced a daunting challenge that was more critical than an on-track battle for position. In 2016, Tifft, who was undergoing back treatment, discovered that he had a tumor in his brain. With the tumor excised on July 1, 2016, the Hinckley, Ohio native was driven to recover and return to NASCAR. Fortunately, Tifft did more than just survive his health scare. He worked diligently to get back on the track ad he did so in tremendous fashion. 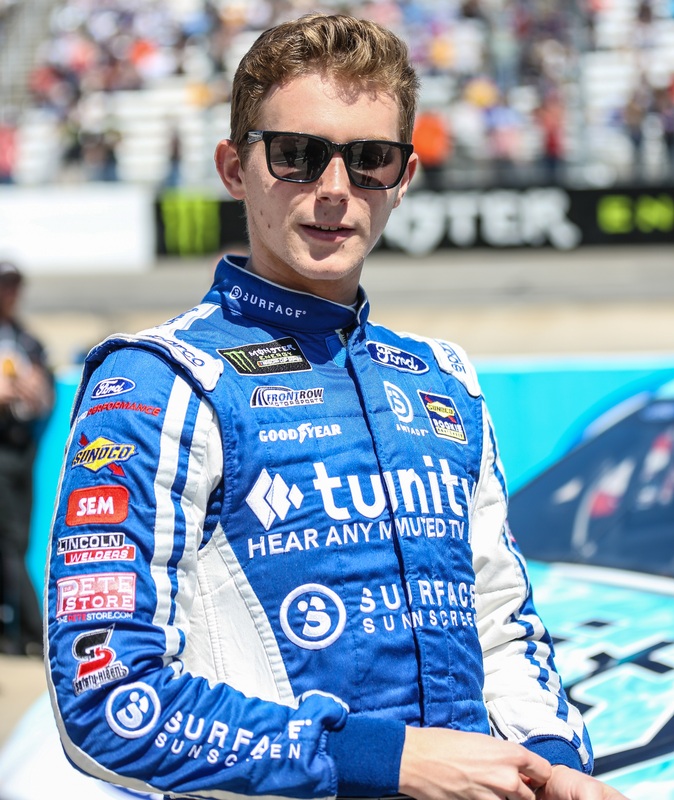 Graduating to the NASCAR XFINITY Series in 2017, this young racer placed seventh in the series point tally. Last season, he improved one position while making the Playoffs. As tough as 2016 may have been for Tifft, it was sweeter this past offseason for more reasons than one. One of those very reasons is his promotion to the Monster Energy NASCAR Cup Series. 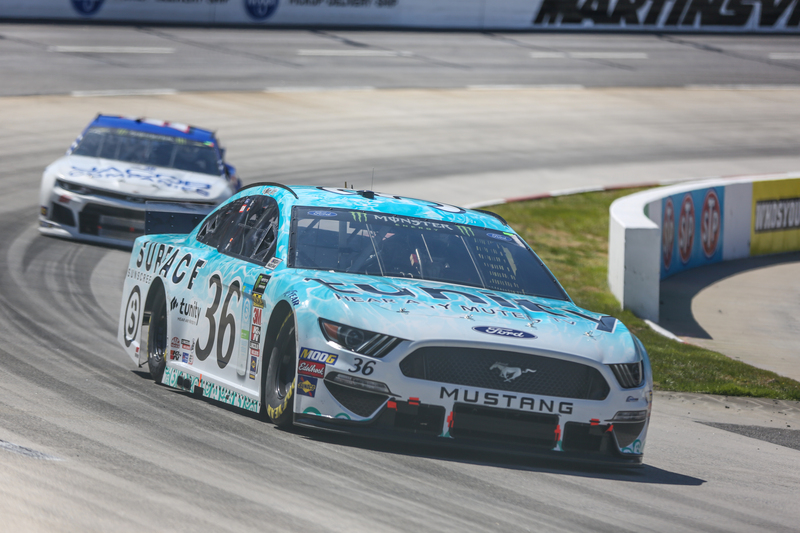 Joining the progressing Front Row Motorsports organization, Tifft looks to build on consistency with his No. 36 Surface Sunscreen Ford Mustang. Working in tandem with veteran crew chief Mike Kelley, Tifft’s focus has been on gaining experience as a Cup rookie. While there are some learning days on the track, there are promising moments such as his 20th at Phoenix. 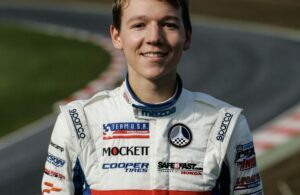 Presently, Tifft thrives to progress, grow, and excel in the top ranks of NASCAR. 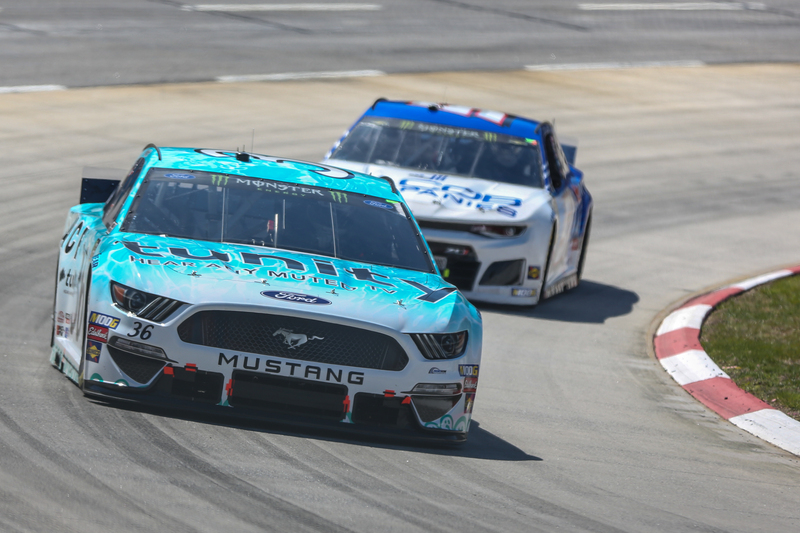 On that note, he has resourceful teammates in David Ragan and Michael McDowell, drivers who have helped with Front Row Motorsports’ progression. Rob Tiongson : Firstly, I imagine it has to be exciting to be racing in the Cup series this year! Considering your journey, how humbling but incredible has it been to race in NASCAR’s top division so far? 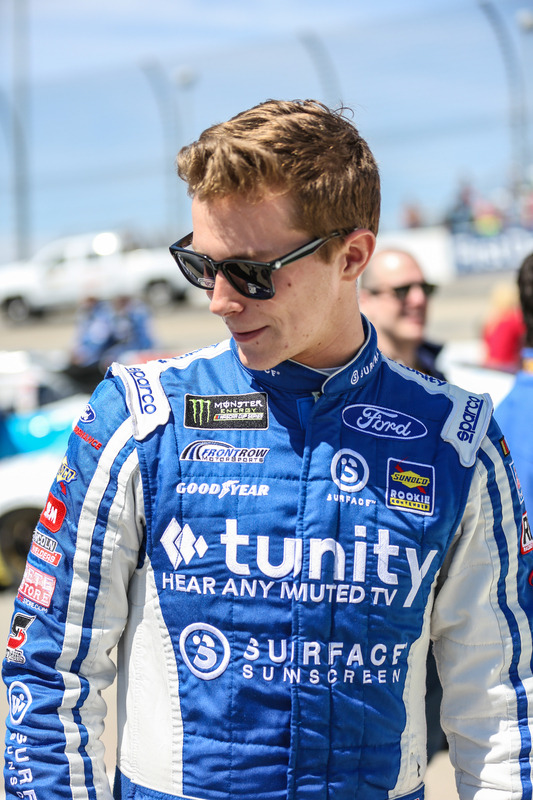 Matt Tifft : It’s been awesome. Obviously, it has its sets of challenges along with it. This is the top form of motorsports and especially for stock car racing. It’s been really good. At the same time, there’s a lot of challenges to go along with it just being a part of a new team and me learning these racetracks with these cars, and just the little things of how you’ve got to qualify well to put yourself in a good position and really execute those days on Fridays to make your Sundays a lot easier. It’s things like that we’re still working on. You kind of pick one or two things each weekend to try and focus on get better on as a group. Rob Tiongson : Not only did you earn your Cup seat for this year, you gained a new family member with your pupper. Also, you and your girlfriend Jordan became engaged. For as tough life has been to you at times, does it make these good times that much more rewarding and enjoyable? Matt Tifft : I don’t think my life has been very hard at all, to be very honest with you, compared to some folks. I’m extremely fortunate to be in the position I’m in and get to enjoy what I do. The news of that with winning and everything, then getting married, that’s exciting too. So, I’m looking forward to that and some fun with the off the track stuff. Rob Tiongson : And you don’t have to worry about wedding dates like Chase Briscoe had to with the NASCAR XFINITY Series banquet this year? Matt Tifft : I would be…I don’t think it would go so well if I was going to have to move my date for that. (laughter) So, sometimes, there’s bigger things in life than a banquet, but I get it. 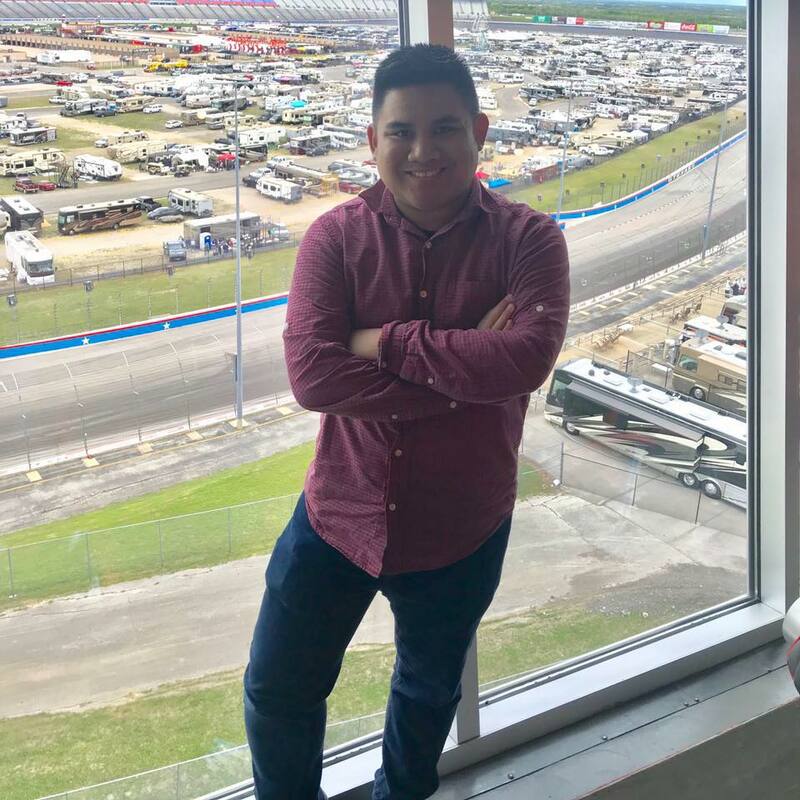 Rob Tiongson : You’re the newest member of Front Row Motorsports, a team that’s won twice and has made the NASCAR Playoffs back in 2016. What’s it like to be a part of this organization and work with your teammates David Ragan and Michael McDowell? Matt Tifft : I think it’s exciting because we know that this an expansion year for us. So, there’s kind of been some growing paints in there. We have a brand new race shop and this is a brand new race team just a few months ago. I feel like we’ve been starting to make some solid progress in there each week with getting a little bit better. Certainly, it’s exciting in that we know for the future of what this place can hold. Being the newest member of Front Row, there’s some weight with that in that I need to make sure I show up and perform. And our team’s been getting better and better each week. So now, we turn our attention to the second quarter of the season after these first few races. We know after two weekends from now, we’re going to move to the second quarter of the season. That’s when we really need to start picking it up and showing our potential in there. This first quarter’s been learning each week what these tracks do and what these cars do with the new packages and everything. We’re ready to take on that. Rob Tiongson : You’ve overcome a lot over the years and to say the least, your recovery from your brain tumor is perhaps the most inspirational story I’ve read! How determined were you to overcome, survive your battle, and know you can empower others in a similar predicament? Matt Tifft : That’s honestly a good way to put it. I was able to overcome it and come back to racing when I was told that I wouldn’t be able to drive a racecar. I was one of the fortunate ones in that I did have a chance to recover. I’m now trying to use it as a platform for advocacy like you said, so I really enjoy that part of it. 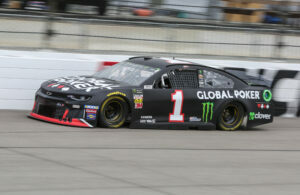 Rob Tiongson : This year’s rookie class is as talented as it gets with NASCAR XFINITY Series graduates Daniel Hemric and Ryan Preece. Having battled alongside these two in recent years, what’s your relationship like with your freshman foes on and off the track? Matt Tifft : I’ve known them for a few years now. I’ve really enjoyed racing against them so far this season. It’s been good to use them as a judge of where we’re at. It’s different because we’re in three different organizations and we all have our own set of challenges in there. I feel like, more often than not, we’re near each other on the racetrack. And we’ve got to get a little bit better to get up there with Hemric on a consistent basis. He’s definitely been the best I feel like so far. We’ve still got a lot more of the season to go, and we just need to keep plucking away at it every week. Rob Tiongson : Netflix had a pretty cool 10 part documentary that followed various Formula 1 drivers and teams during their 2018 season. Would you be open to a series like this, NASCAR style? If so, would you want to be in it to showcase life on and off the track? Matt Tifft : I haven’t seen it yet but I’ve heard a lot about it. I think it’d be cool but I think the biggest thing is that the F1 atmosphere is so different than the NASCAR atmosphere, especially with them having the countries represented in there and such huge manufacturers in there. We have that too in the NASCAR side but it’s such a different capacity and there’s a lot more of four car teams over here. The balance of working with teammates but also trying to beat them…I think it would be really cool if we could do that. I think it’d be fun to watch the stories if you had that going this year, like Kyle Busch trying to get 200 wins, Brad Keselowski and Kevin Harvick battling with them, and a story like ours where we’re a newer team in there trying to get up to where we need to be. There’s all kinds of stories that go on in the garage area that something like that would be cool to capture them. Rob Tiongson : Every driver, crew member, and us journalists have that moment where we got that initiation into NASCAR. For you, good, funny, or both, what would you say was your “Welcome to NASCAR” moment? Matt Tifft : Hmm…man, I don’t know. I guess I don’t have a good one to say in there. Overall, it’s just the challenge of the top level. Just how tough these guys are…you know, you just have to be on it and you can’t make mistakes. That’s really the biggest thing, especially for the Cup series. 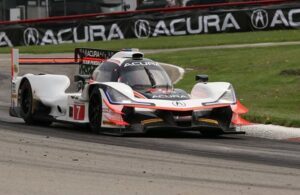 Rob Tiongson : You’ve raced at various tracks across the country but I’d have to imagine that Texas Motor Speedway is one of the more unique intermediates you compete at during the year. Could you walk me through a lap around this track and how to attack it? Matt Tifft : Yea, it’s such a different racetrack. Statistically, I think it’s been my best mile and a half. I’ve really enjoyed this place before and after the repave. It’s fast, three and four it’s all about carrying speed and throttle time. But turns one and two, it’s so different now because the banking there is really falling away compared to before when there was all kinds of banking before in turns one and two. So, you really have to get your front end to work well in there to carry momentum. With three and four, it’s almost who can be the bigger man and just bury it on in there and trying to make it stick. Especially with this aero package, our corner speeds are so high and straightaway speeds might not exactly be there. But you just feel the G-forces going through turns three and four where you’re laying against the headrest and you’re just kind of guiding the car at that point. It’s definitely a different animal than a lot of the other mile and a half tracks. This weekend’s so different with the PJ1 too. We don’t know how much that’s going to expand. It’s been a very narrow track, a one to a one and a half groove track since they repaved it, so I’m hoping that opens it up this weekend. Matt Tifft : (laughs) I haven’t been a “Radio Sweetheart” yet. I’m normally pretty good about keeping my cool in the car. But there’s certainly moments over my career where I probably would’ve been nominated on there had we been tapped on that in the XFINITY Series side. Rob Tiongson : Let’s say that you could have your life and career documented in a biopic or Hollywood film. Which actor would you say could portray you perfectly to moviegoers? Special thanks to Matt Tifft and Front Row Motorsports for their kindness and hospitality. Get to learn more about Matt on Twitter, Facebook, and his official website!